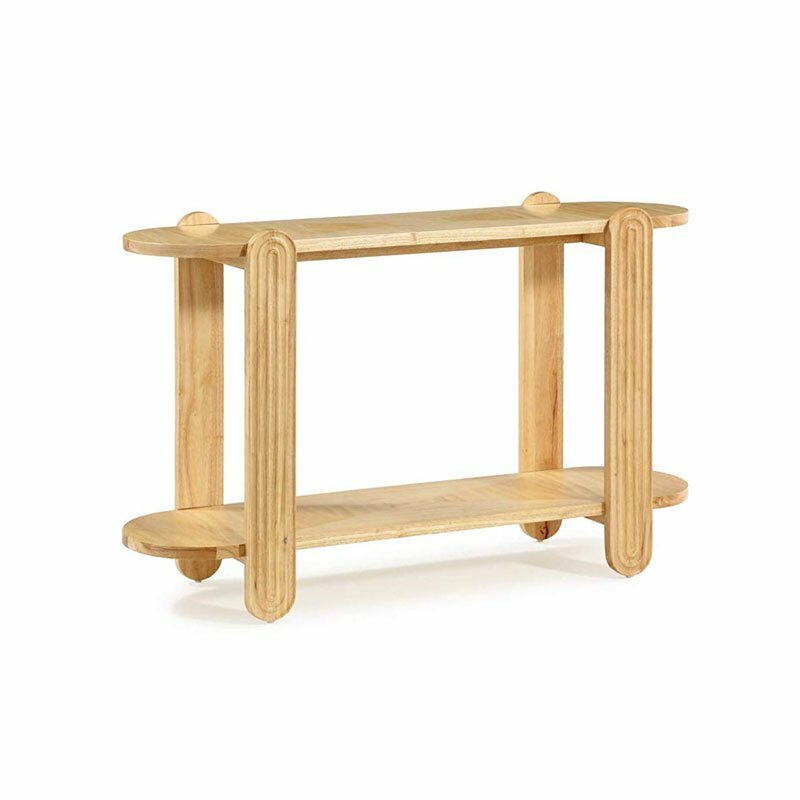 Our blonde wood console table is a mid-century must-have that brings natural warmth to your entryway, living or dining room. Grooved capsule-shaped legs add a futuristic feel. Now House by Jonathan Adler introduces smart new decorative accessories, furniture, rugs, bedding and more – all designed to make living an effortless (and ever-chic) pursuit. With styles ranging from mid-century to ultra-modern, you’ll never run out of ways to wow. It’s what’s new, it’s what’s now. Now House by Jonathan Adler: Smile, you’re home.